Ostrava is the third largest city in the Czech Republic. It is located close to both Poland and Slovakia and for its location it is an ideal point for trips to the Beskids. 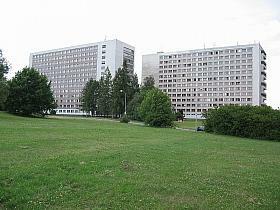 The Hotel Garni VŠB is a modern hotel situated in the compound of the campus in Ostrava Poruba. It offers its guests a wide range of services of three stars standard. Trained proffesional staff guarantees individual approach to every single guest. The Hotel Garni represents thanks to the quality of services and quite unique connection with VŠB - Technical university of Ostrava an out of the ordinary project. 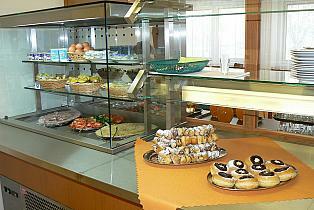 The Hotel Garni is an ideal place to stay during your visit of Moravian-Silesian region. The Hotel Garni and VŠB offer(s) modern equipment and services - for example - 24 hours open reception, free internet access in the lounge and in all rooms as well, barrier-free entry, non-smoking rooms. 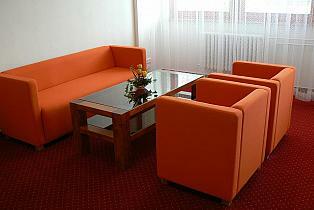 The Hotel Garni VŠB is an ideal solution to your private visit, wedding, party or business dealings. The Hotel Garni is an important centre during various international sports, cultural and social events in the region. The hotel offers 70 rooms including 13 suites for accommodation. 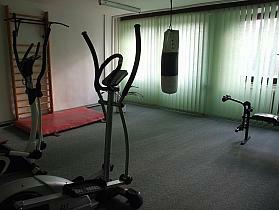 Each room is equipped with refrigerator, electric kettle, TV, telephone and there is free internet access.